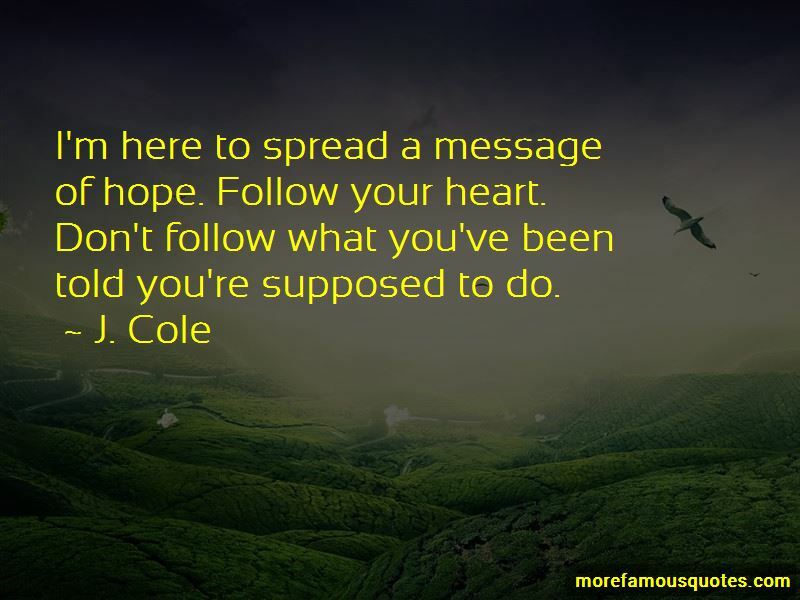 Enjoy the top 100 famous quotes, sayings and quotations by J. Cole. My real dream is to have a whole, like, buy a whole piece of land. Imagine, like, a long driveway. Like, a cul de sac-type street, with maybe, like, seven houses. Me be right here. Have my mom be able to be right here. My brother over here. My girl's grandmother and family right here. Friends over there. That's my real dream. My parents were divorced by the time I was even conscious - like, I don't remember them ever being together. I actually started off majoring in computer science, but I knew right away I wasn't going to stay with it. It was because I had this one professor who was the loneliest, saddest man I've ever known. 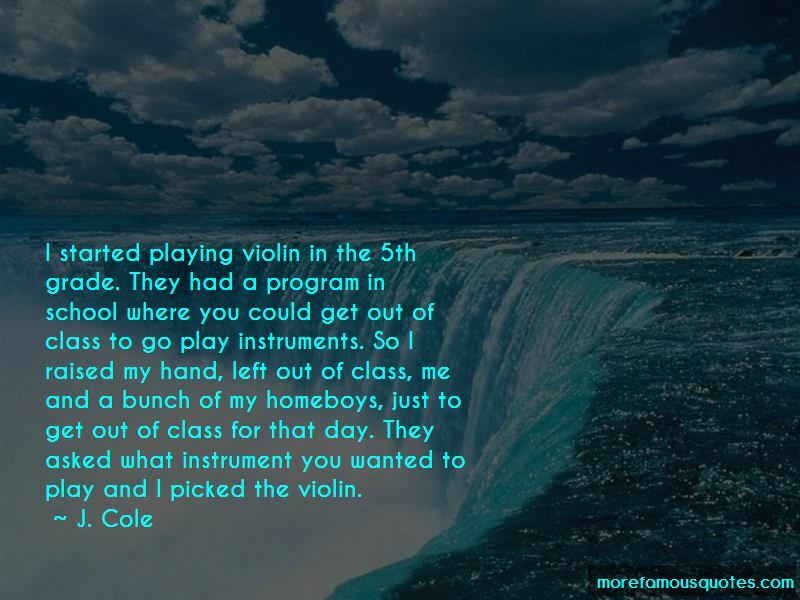 He was a programmer, and I knew that I didn't want to do whatever he did. I had a rat-tail when I was younger. I had this nice Bobby Brown fade, with a rat-tail that was long enough to wrap around my face. I used to chew on the end and bite it. I think if I did something in the pop world right now, it would be for Rihanna. I'd love to do something production wise for her. I've got two Rolexes that I'm very proud of - a gold Presidential that was a gift and a white gold one I gifted myself. I'm trying to step my game up and get a few more of those. Life is a movie, pick your own role, Climb your own ladder or you dig your own hole. 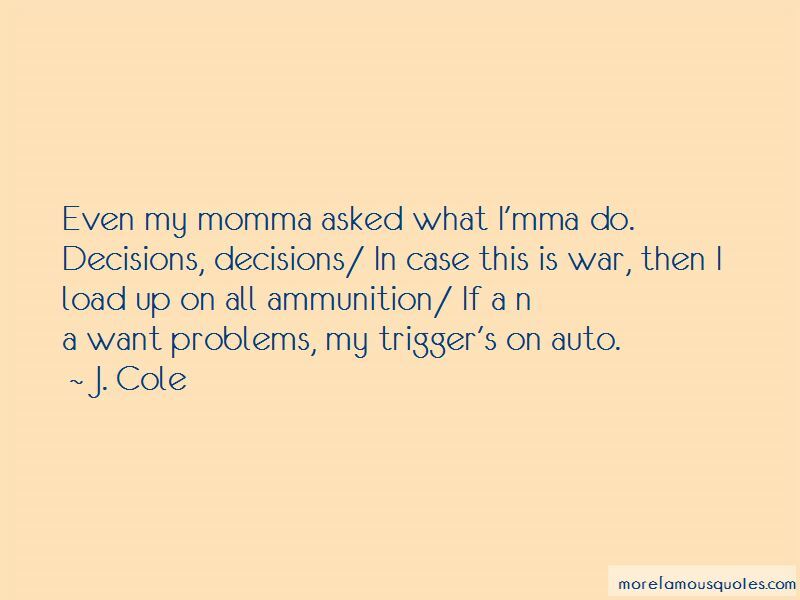 Want to see more pictures of J. Cole quotes? 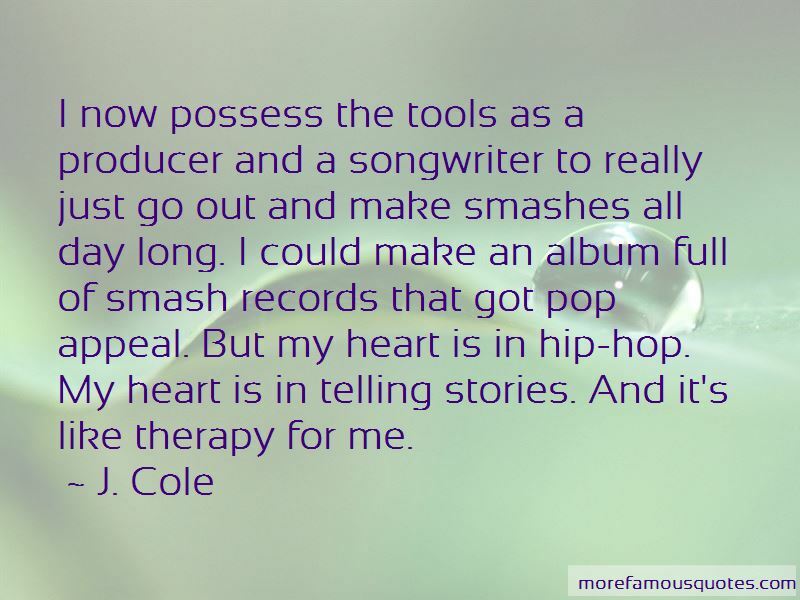 Click on image of J. Cole quotes to view full size.